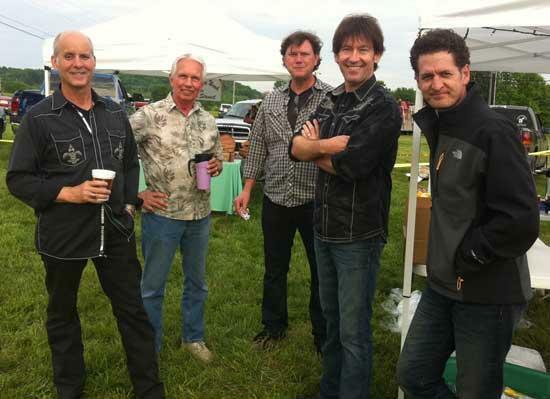 Left to right, Bruce Bounton, Stan Reece (Phly Dreams), Jeff King, Jim Mattingly and Mark Hill. Not pictured Jim Kimble and Woodbury's own Keith Daniels. We would like to thank everyone who had a part in our recent fundraiser, SAVE Fest. We had a wonderful outpouring of support for the event. The community and surrounding counties were wonderful in providing donations and volunteering time to work at SAVE Fest. The music was awesome and the food was great. Our very own Steven Porter, the band teacher at CCHS, booked and scheduled the talent line up and ensure all necessary sound equipment and instruments were provided. He did an awesome job. We will greatly miss him next year. Good Luck Mr. Porter. We would also like to say a special thank you to Wayne and Cherie Watson for donating the grill for our drawing and for all their wonderful help working the event. Mr. Watson and Keith Daniels had a wonderful time putting the grill together. The grill was a hit everyone wanted a chance to win. I hope winner Kerry Foster is enjoy his prize and his wife is enjoying not having to cook. And a special Thank You to all the bands that came, volunteered and provided the wonderful music (RipTide, Lance Chandler The Black Collar Outlaw, JRB, RiverTown (AKA Reba's Band and Bill Simms and Colleen Sullivan of Phly Dreams), Brenn Black, 61 Seconds and all the guys from the CCHS Guitar Class. SAVE is already planning and looking forward to SAVE Fest 2012. Hope to see you there.